A plant of sandy/peaty shores and moist sandy swales from the southeastern United States, but more recently appearing sporadically as an apparent adventive northward. First collected in Michigan in 2015 in Berrien County by Brad Slaughter. 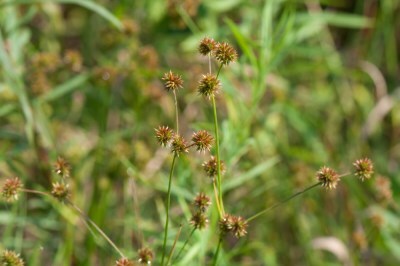 This species is similar to Juncus scirpoides, with tailless seeds, three stamens, spherical heads, and slender, long tapering capsules, but coarser, and generally larger in all its parts. Juncus validus lacks the distinctive tuberous rhizomes of J. scirpoides. MICHIGAN FLORA ONLINE. A. A. Reznicek, E. G. Voss, & B. S. Walters. February 2011. University of Michigan. Web. 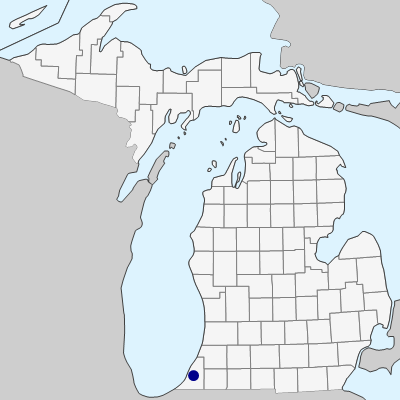 April 19, 2019. https://michiganflora.net/species.aspx?id=2932.